Experience any of our classes completely free of charge for a whole month! A personal one-to-one introduction to the Academy with a experienced instructor. Take an intro class and we’ll give you a FREE beginners uniform ready to join in with the other students. Just enter your contact details below. 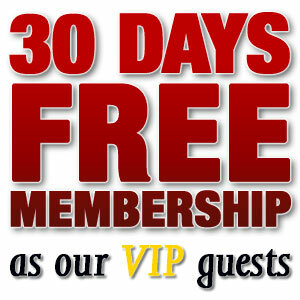 We’ll add you to the mailing list and contact you ASAP to arrange your FREE VIP membership. Thank you for your interest in our martial arts classes. We know that we can have a very positive effect on the lives of our students and we’d love the chance to prove that to you and your family too! Give us a month and we guarantee you’ll see for yourself the many benefits of training with us at the llyokwan Black Belt Academy. As you’ve been kind enough to show an interest in our school we’d like to say thanks with a very special “VIP” package with our compliments. This enables to you get a real feel for the martial arts as our guest. Now, we know that some schools try to give people the ‘hard sell’ but you’ll find we’re really not like that. We’re passionate about what we do and believe you should have a real opportunity to see if the martial arts are right for you before committing to anything. If you take us up on our offer you would be under absolutely no obligation to enrol unless you’re ready to. Even if you train for the whole month and then decide it’s not for you that’s fine with us. You can even keep the uniform with our thanks. Can’t say fairer than that can we! If you would like to come and watch any of our regular classes you would be very welcome, or if you wish we can schedule a free private introductory session at a time that suits you. We would simply invite you to come along to have a look for yourself and see if our school has something to offer you. If you like what you see then you’ll be very welcome to take up our offer and to start your 30 days free VIP membership at a time which suits you. If you are interested in classes for your child (or for yourself – we have an active adult section and this offer applies to all members of your family) then please do call us as soon as possible as we only have a limited number of places available for new members at this time. If you do have any questions at all then please do not hesitate to call us any time, our contact details are on this page. Once again I thank you for your interest and I look forward to speaking with you soon.